October is a great time to enjoy all that fall has to offer in Hermann. Enjoy the crisp fall air, take in the splendor of the fall foliage and partake in Oktoberfest festivities. With Oktoberfest running every weekend, there is something for everyone in Hermann. 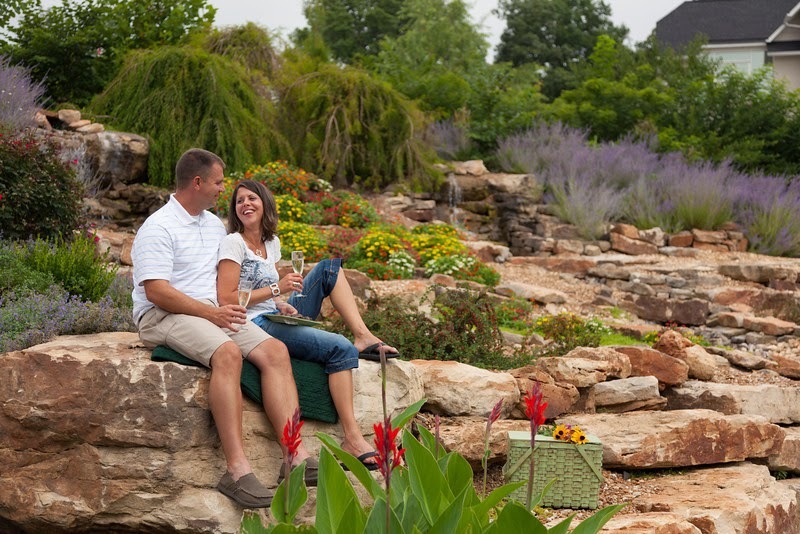 Many of our guests tell us they like to take the Stone Hill Winery Tour and enjoy some of their award winning wines, enjoy a brat and Tin Mill Beer at the beer garden and then come back to enjoy a romantic evening at Hermann Hill! We even inspired a poem from one of our winners! Each month this year, two winners will receive a $100 Hermann Hill gift certificate for sharing the memorable experiences they shared while staying at Hermann Hill. The winners of the October drawing are John and Kathy from St. Louis, Mo and Oliver and Wendy from Independence, Mo. John and Kathy wrote: This is our 3rd stay at Hermann Hill. Each year we’ve come to celebrate our anniversary. It’s a great way to reconnect. We don’t make a lot of plans when we come to Hermann Hill, it’s more about time together. We enjoyed lunch and ice cream at the Downtown Deli on main street and our 1st day and lunch at Wings A-Blazin and a little shopping the 2nd day. But most of the time we enjoyed our awesome cottage Jacuzzi, hot tub and deck. Thank you Hermann Hill for making and this such a great place to enjoy. Oliver and Wendy wrote a poem inspired by their stay at Hermann Hill: Wonderful visit as always inspired a poem-“Vineyard on the Hill” Vineyard sitting on the Hill ripped grapes, in purple hue. Hawks in flight soar overhead, as morning sun comes into view. Fog adrift over river wide, winding through the fervent trees. Shades of red, green and yellow gently sway with a calming breeze. Steeple perched, a pearly white, adorn bricks and mortar grand. Historic church on the mound well-crafted by a German hand. Herd of deer graze cautiously tasting vines sweet offerings Humming bird a brief surprise while ever distant Sparrow sings. Vines cascading down the hill church bells echo in the wind. Day awakes with glory, a scene one hopes will never end.